A bourbon in a wine bottle? Why not? It’s enough of a novelty to make me interested, at least. Plus, the label art is pretty—I find simple ink or pencil drawings best for selling me wine or liquor, with three to four colors at most. Yes, I just offered up a bunch of tips for the advertisers among you on how to market me alcohol. You’re welcome. But back to the bourbon. The nose has a mellow heat. It smells of light molasses and orange blossom. It tastes thin, smooth, and a bit oily. Nutmeg and black pepper dominate the first sip. There is sweetness, but it’s closer to agave in flavor than molasses. The orange remains, but it’s less dominant than it was in the nose. I find it very similar in principle to a light-bodied rum I reviewed a few months ago, the Bacardi Ron Solera 1873. Both are thin but full of layers that make them more interesting than their base spirits generally are with that sort of body. Enjoy experimenting! This unique bottle caught my eye mostly because it’s really just a wine bottle repurposed for whiskey. Good marketing idea or lazy packaging? I don’t know, but the whiskey is a little better than okay. Superior to Maker’s Mark and Woodford, but not as good as even a nice W.L. Weller in my point of view. This spirit is packaged in an understated bottle that looks like one holding a Chardonnay or Rosé. The simple packaging belies the bouquet delivered in a glass. It is nothing but wow . . . pure delight. There is a lot of cherry fruit and creamy vanilla that carries right through to the end. There is no bite or spice on this one. 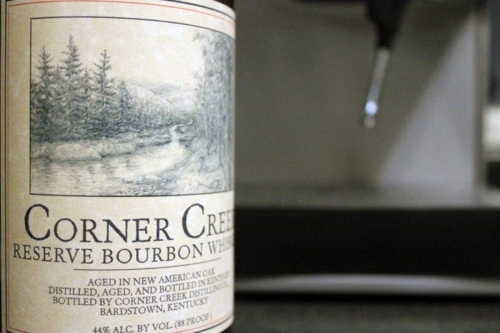 This is an extremely tasty 8-year-old bourbon and is economical price for what lies within. . . . The color is beautiful for an 8 year old. Has a golden amber hue with a slight buckwheat honey or molasses tint to it. The first nose right out of the bottle is of the barrel. Light oak, molasses and rye notes emerge. Sweet corn and wheat are the strongest notes here. . . . Hints of spiced apples and oak char round things out. . . . A nice oaky and nutty after palate presence appears at the end.